Cassandra loves chocolate... and has always marvelled at the incredible way cocoa pods grow. As a mother of three she has created her Cocoa pod with its magical opening to reveal the jewelled beans inside. The Cocoa pods come in five different sizes, in some there are citrine, ruby or diamond 'beans', in others there are no beans 'as I am a total chocoholic and I have eaten them all,' Cassandra says. 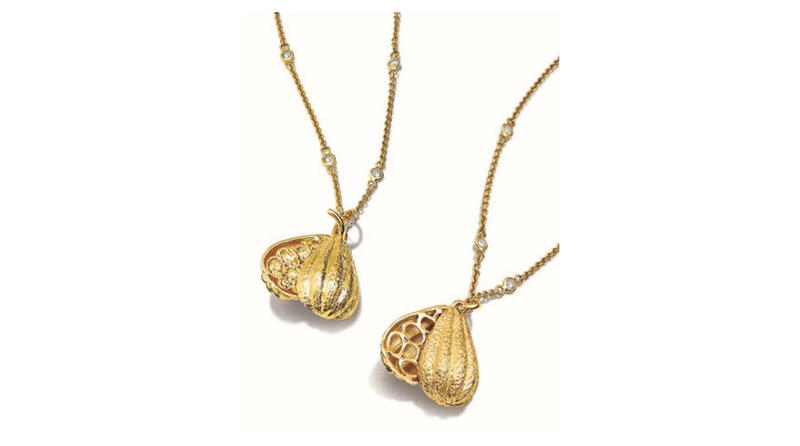 Have a look here to see all our beautiful Cocoa Pod pendants - the perfect present for chocoholics!